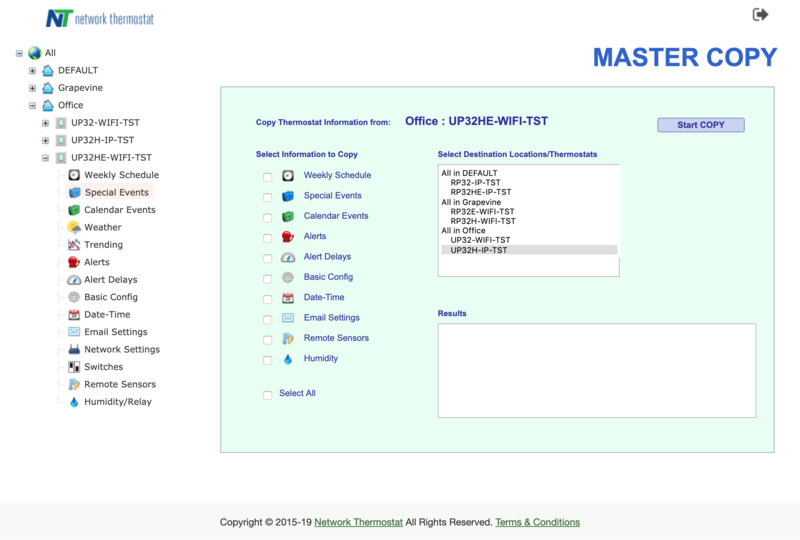 CloudConnect™ is a cloud-based enterprise class thermostat control center for NetX Wi-Fi and Ethernet thermostats. 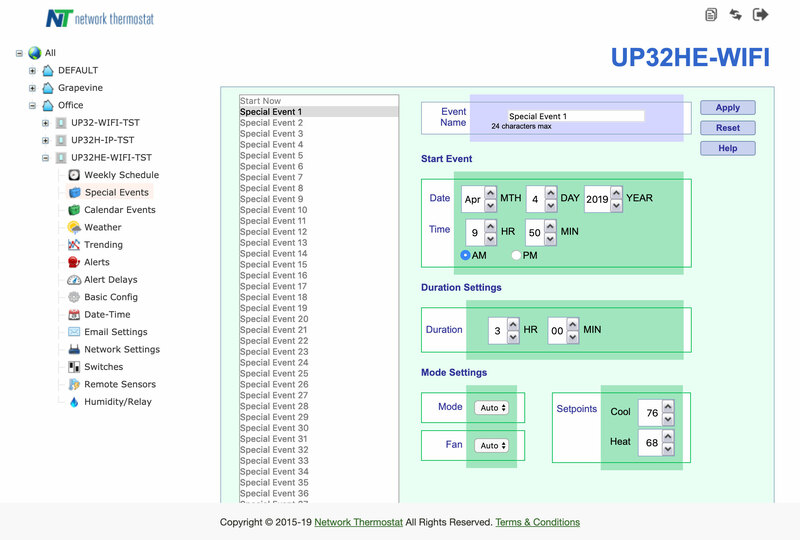 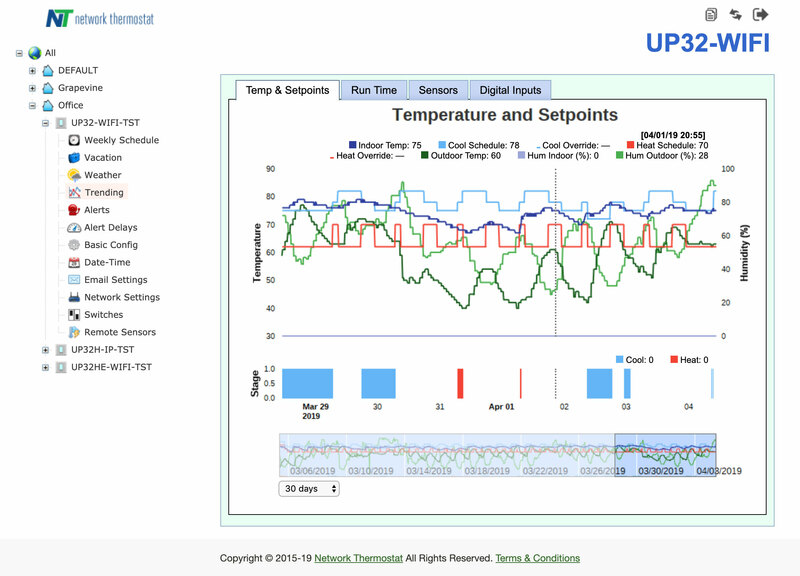 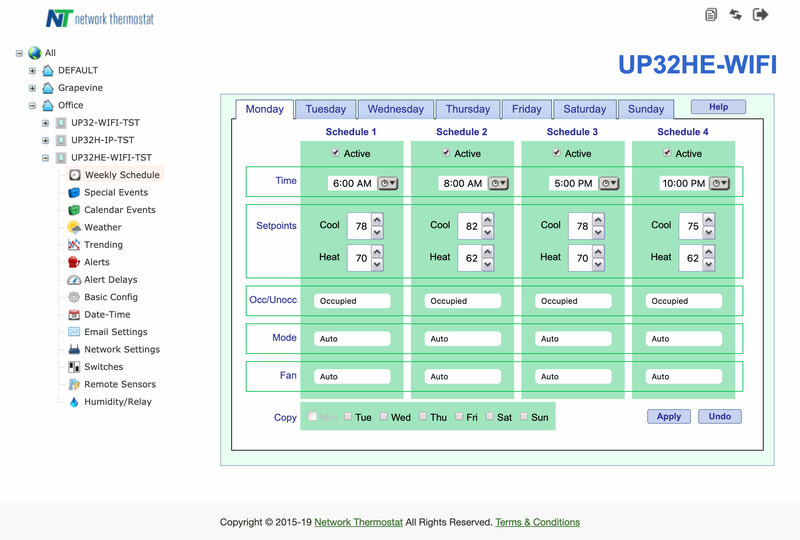 CloudConnect connects users to an unlimited number of RP32 and UP32 thermostats with an unlimited number of Multi-Site Locations/Categories. 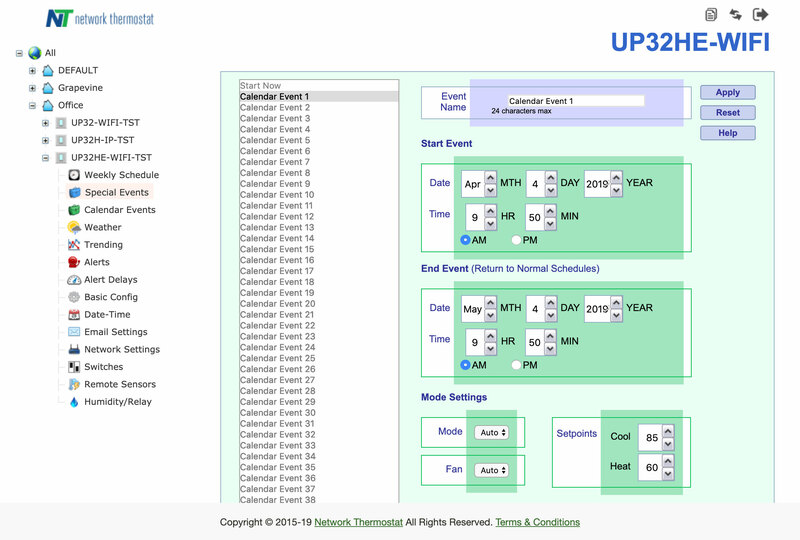 Quick Alert Highlighting Clicking on the thermostat with Alert notification takes a user directly to thermostat alerts page.